I am very particular about the quality of the nutritional supplements that I use. Fembody Nutrition is a product line that I use on a regular basis. I have personally had good results using Appetite Control 100™. What originally attracted me to Fembody Nutrition is that it was designed to specially address the nutritional and core needs of women. I was very excited to learn that Fembody Nutrition has teamed up with Paula Abdul who will be appearing on a popular daytime health show on Tuesday, May 22nd 2012. 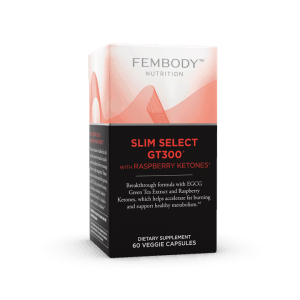 As a spokeswoman for Fembody Nutrition she will be talking about the newest products in the Fembody Nutrition line including Slim Select GT300, Advanced Bone Activator and Hair, Nails & Skin Beauty Activator. I had the opportunity to start taking these new products recently and was especially interested in learning more about Slim Select GT300 ($39.99). It includes Raspberry Ketones which I have heard quite a bit about recently on the same popular daytime health show as being helpful for weight loss. In fact, Slim Select GT300 uses a formula that includes Decaffeinated Green Tea Extract and Raspberry Ketones along with InnovaTea™ Natural Tea Extract. While there is caffeine in this product, I did not experience any jitteriness or negative side effects from using it. I take one capsule in the morning with breakfast and one capsule after lunch, combing this with healthy eating and daily exercise such as walking or biking with the kids. I have not taken this long enough to comment specifically on how this will affect my weight loss overall but I am very encouraged so far. In the six days that I have taken it, the scale has slowly gone done every single day (total weight loss over an 8 day period including the six days using Slim Select GT300 is 5.4 pounds). 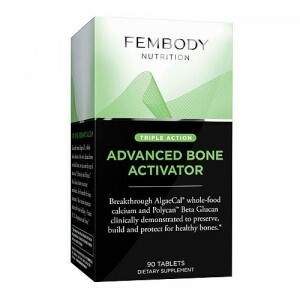 I am also very interested in the Advanced Bone Activator ($39.99) because it uses AlgaeCal® whole-food calcium and Polycan™ Beta Glucan which has been “clinically demonstrated to preserve, build and protect for healthy bones.” This is especially important for women as we are aging because I have personally witnessed the devastating effects of osteoporosis in my 14 years working with a geriatric clientele. I appreciate that Advanced Bone Activator has Vitamin D, Vitamin K and Magnesium on the ingredient list too. A body that is healthy on the inside can exude external beauty too. 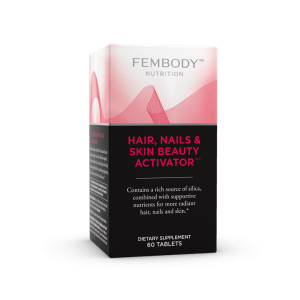 The Hair, Nails & Skin Beauty Activator ($24.99) by Fembody Nutrition is packed with vitamins and minerals. It also includes Bamboo Extract which I learned is natures “richest form of silica” as well as L-Cysteine and Opti-MSM®. I have noticed that my nails split or break easily so I can’t wait to see how well this formula works when incorporated into my healthy lifestyle. I appreciate that Fembody Nutrition was created by a woman named Dr. Heather Hausenblas in order to address the need for high quality supplements specially designed for women. I also appreciate the use of naturally derived ingredients and how the company’s mission is to support the overall core health and well-being of women of all ages. You are invited to visit Fembody Nutrition to learn more about the entire product line. Fembody Nutrition is available for purchase exclusively at GNC (online or in-store). Vote for Your Favourite Main Dish & Win Cash! I would like to try the CeraSmooth Advanced Skin Hydrator. I’d like to try the Hair, Nails & Skin Beauty Activator, that’s what I need the most. I love the calm science. I’d love to try the Calm Science. I’d really like to try the CeraSmooth Advanced Skin Hydrator! I would love to try the appetite control 100. I’ve finally gotten into a workout plan and any boost to help me out would be great! I would also love to try the Appetite Control 100 from Fembody. I want to try the appetite control.